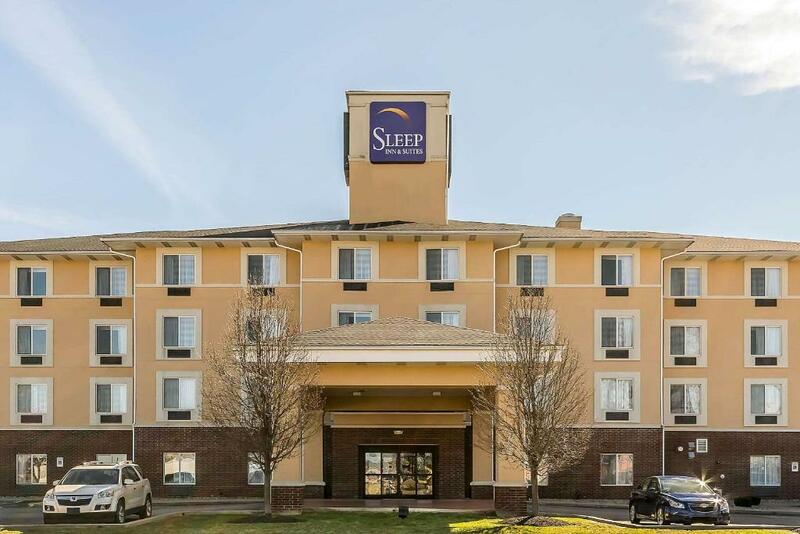 Lock in a great price for Sleep Inn & Suites Shepherdsville Louisville South – rated 8.7 by recent guests! The people were very friendly, price was right, and facilities were nice and clean. Very friendly helpful staff day and night!!! Very clean nice rooms. We did not have time to stay for breakfast. We found the location perfect and that was our main attraction, aside from being Choice Hotels members. The facility was very supportive of the h re reason we traveled to Kentucky. This place has been updated. The shower was amazing. Rooms are a good size and clean. Very clean hotel, friendly staff, and good breakfast. Everything was very clean and comfortable. The staff was very nice and helpful. 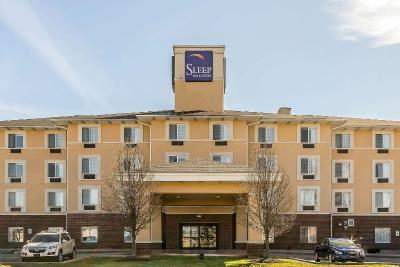 Sleep Inn & Suites Shepherdsville Louisville South This rating is a reflection of how the property compares to the industry standard when it comes to price, facilities and services available. It's based on a self-evaluation by the property. Use this rating to help choose your stay! Louisville International Airport is a 20-minute drive from this nonsmoking hotel, which offers a flat-screen cable TV in every room. 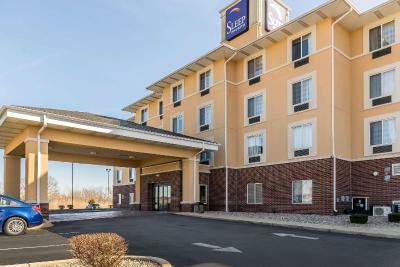 Sleep Inn & Suites Shepherdsville features an indoor heated pool and fitness center. This property also has one of the top-rated locations in Shepherdsville! Guests are happier about it compared to other properties in the area. This property is also rated for the best value in Shepherdsville! Guests are getting more for their money when compared to other properties in this city. 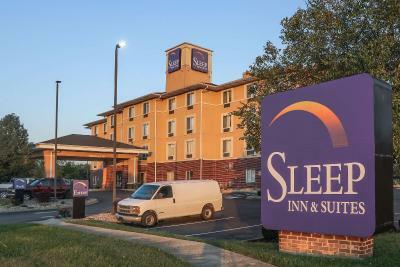 When would you like to stay at Sleep Inn & Suites Shepherdsville Louisville South? House Rules Sleep Inn & Suites Shepherdsville Louisville South takes special requests – add in the next step! 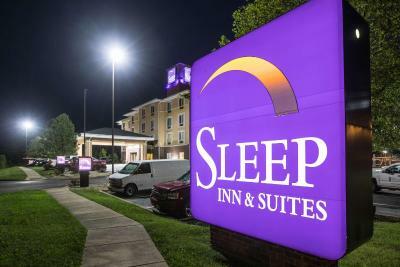 Sleep Inn &amp; Suites Shepherdsville Louisville South accepts these cards and reserves the right to temporarily hold an amount prior to arrival. 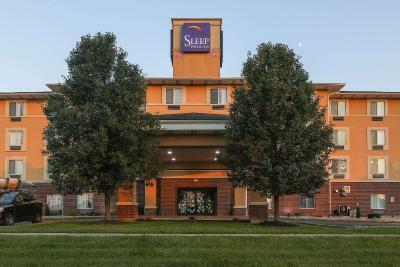 Sleep Inn & Suites Shepherdsville Louisville South accepts these cards and reserves the right to temporarily hold an amount prior to arrival. A bright parking lot light shining through the window at night. Would have liked staff to be at front desk more often. Room was dusty...coffee pot had dust all over it. Rooms are not very quiet as walking down hall you can hear everything coming from each room. Coffee was great. Location was convenient. the pillows were a joke. i've never had such small, fat pillows - very uncomfortable. very spotty internet - disappointing. the breakfast was poorly presented. the rooms were fairly up to date, but the rest of the property was quite dated and cheaply done. room was clean, roomy, and bed was comfortable. the desk clerk was friendly and efficient. The cleaning service lady that saturday morning, was terribly loud and obnoxious. Yelling down the hallway at other employees and cutting up outside of our room. Woke us up in both rooms early that morning. Continued for some time. Bed was not to our liking. Overfirm. That's a small nitpick though and this is a great place to crash for the night on the way to another destination. Very affordable. Facilities are clean and staff was courteous. The only negative thing I could say was there wasn’t a restaurant on site. But that’s all. You do have to drive to a restaurant. Short distance but a few blocks. Everything was fine, bed comfortable and check-in was easy fast and friendly staff. Had a large open parking area around back for our trailer. Bed was awful. Pillows awful.